The interrelated nature and complexity of the Global Challenges means that smarter innovation demands a collaborative approach Supporting collaboration and developing new ways of thinking to deliver better, more sustainable products and services is at the heart of the Smarter Innovation approach. Smarter Innovation Collaborations do not leave vital interactions and connections to chance. Some widely used innovation support strategies rely on ‘organised serendipity’, to increase the chances of the right connections being made between innovators and industry at Cluster meetings or industry networks. Whilst these processes have their place, Smarter innovation collaboration offers a more predictable, structured, challenge led approach, designed to improve chances of innovation success. It achieves this via a proven method to facilitate and accelerate innovation development through effective collaborations. Connecting multi-disciplinary research / innovation teams with potential business users at an early stage of the idea’s development enables rapid identification of the best application opportunity for the idea to create business value. This collaborative approach ensures that interesting, yet time and resource consuming, blind alleys are reduced. Collaborations delivered in this way accelerate the translation of viable research ideas into useful real-world applications with positive impact much more quickly. 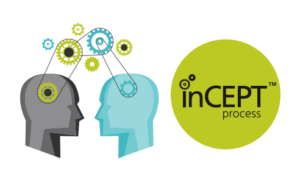 A proven example of this accelerated multidisciplinary collaborative approach is our InCEPT™ process.